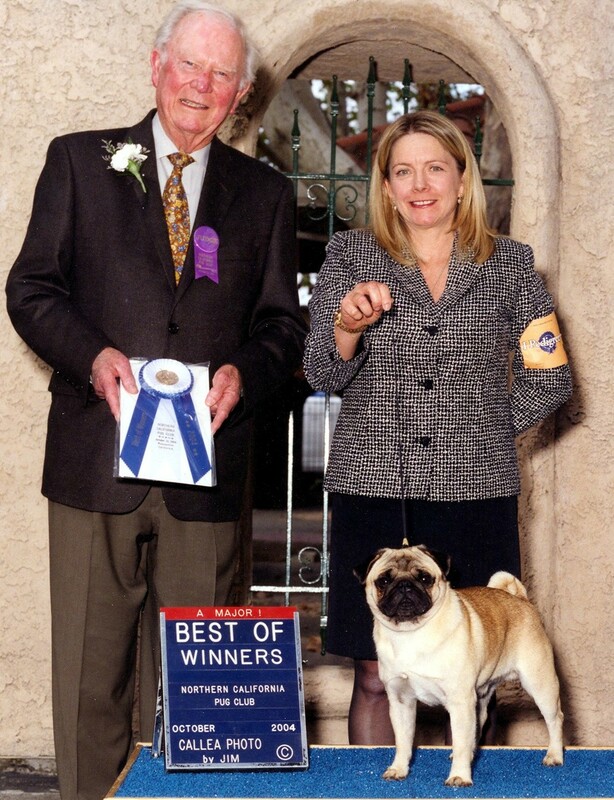 Will pictured going Best of Winners at the Northern California Pug Club Specialty for a 5 point major under Judge Mr. William Bergum - handled by Virginia Flatley. 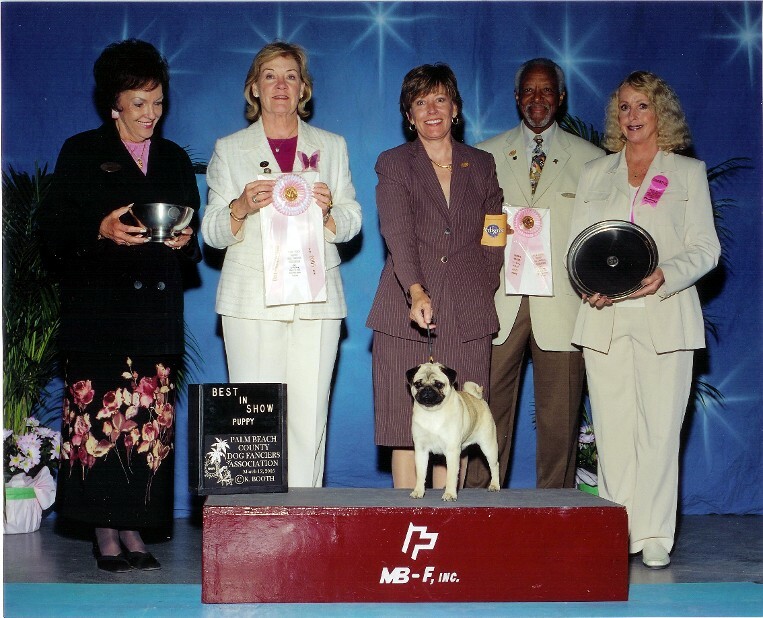 where he recently finished his Championship under Judge Mr. Leonard Reppond. with his third major. 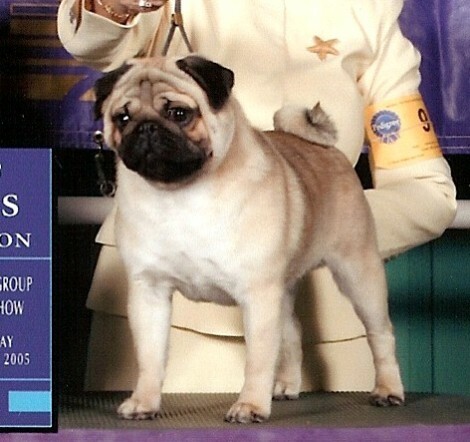 Hunter finished quickly in just 10 shows from the Bred By Exhibitor Class! winning B.O.W. for his first 2 points under respected Judge Mr. Edd Bivin (Thank you for the win as well as the compliments! as well as 3 more B.O.W. 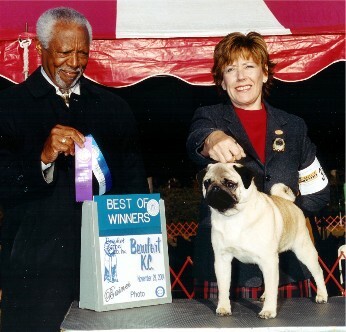 for 3 majors under Judges Joe Joly, Tom Daniels (pic.) and Tom Kilcullen. and B.O.W. 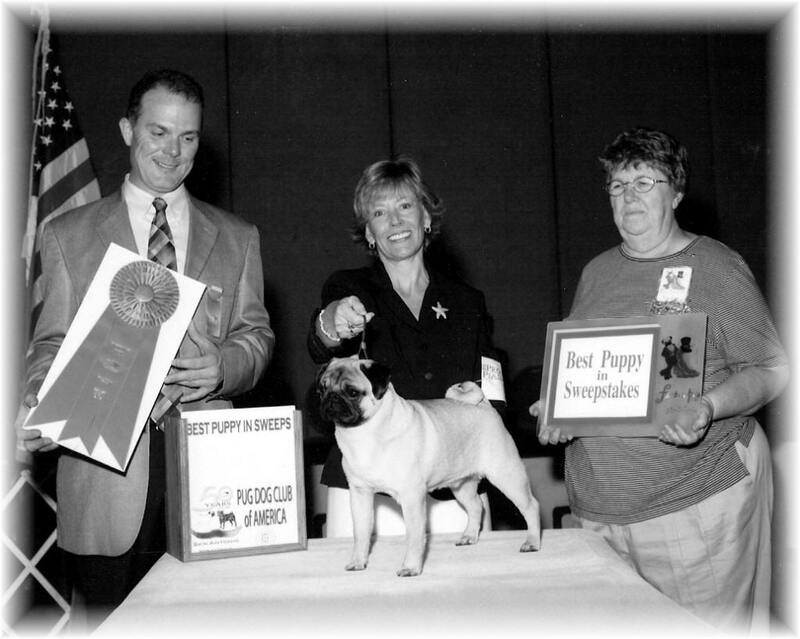 to finish at the Tampa Bay Pug Club Specialty under Judge Bonnie Guggenheim. 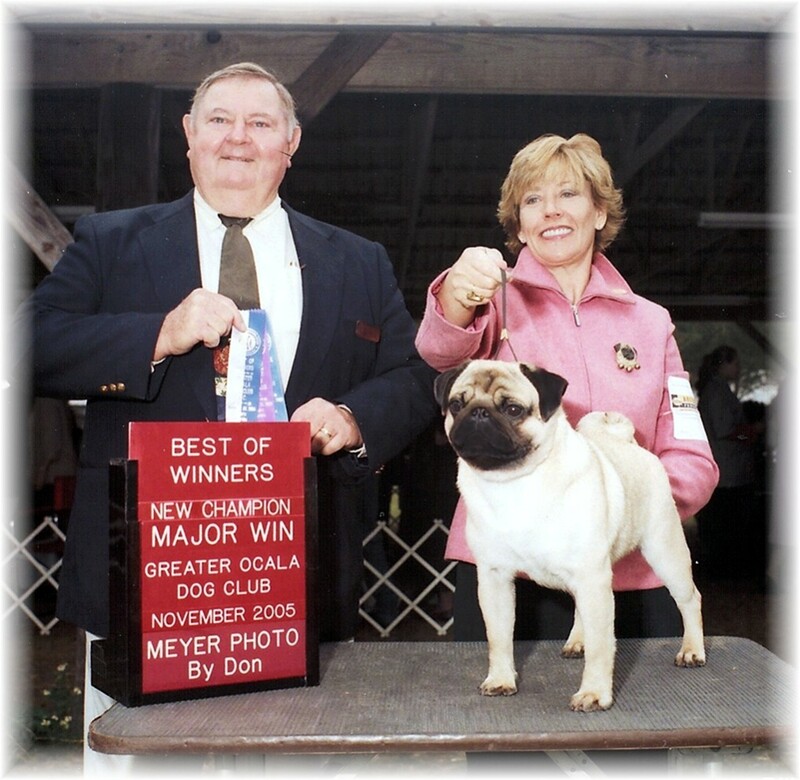 at the Toy Dog Club of Central Florida Show under Judge Mr. Tom Kilcullen. 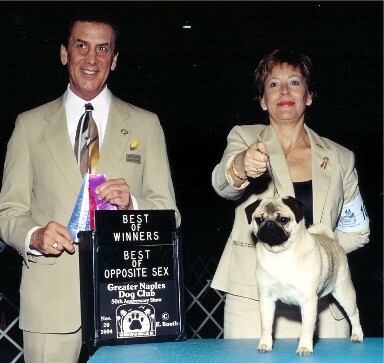 Benson started out with a bang, pictured winning a 4 point major his first weekend out! Special thanks to Patti and family for the wonderful loving home they've provided Benson...I couldn't have picked a better family for this happy boy! 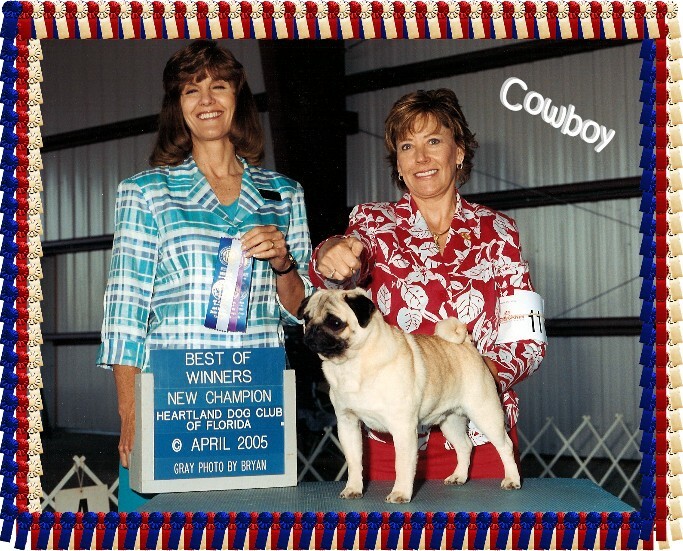 Cowboy finished easily with two '4' point majors and two '3' point majors at just over 12 months of age! with two '5' point majors, a '4' point and a '3' pointer ! 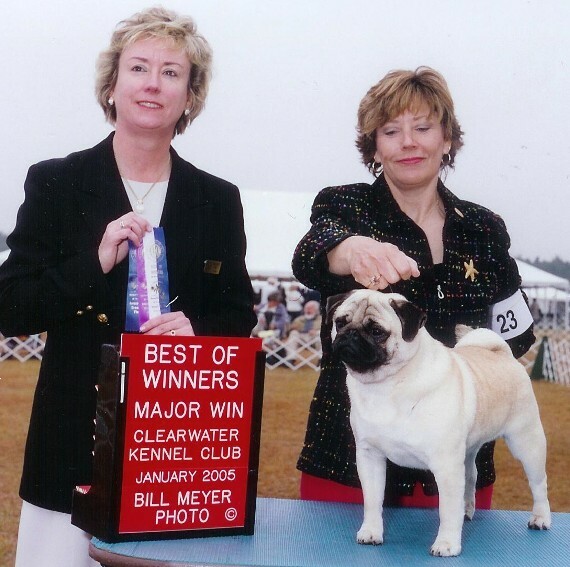 Thank you Julie Secovnie for handling Bubbles to her speedy championship! 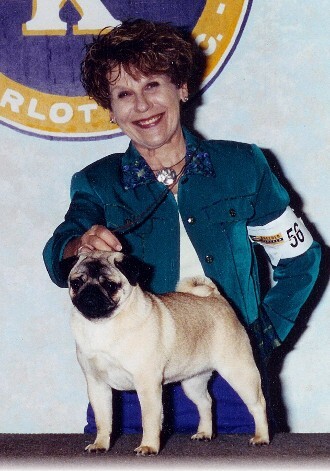 'Pinky' started out with a bang collecting 11 points, including a 3 point major, her first few times in the ring! She is pictured at age 7 months. 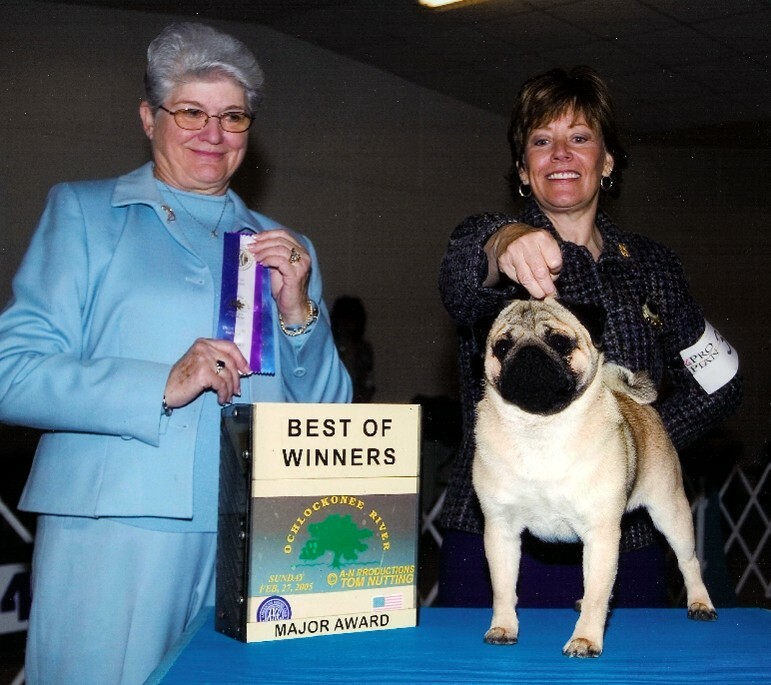 Pinky finished with 3 majors, under 1 year of age...with a lot of lovely compliments. on the tough Florida Circuit... at just 9 months of age! 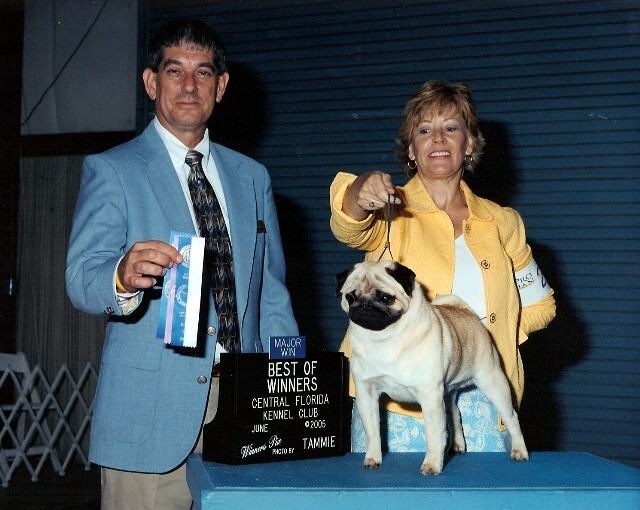 Country finished his Championship in a week of shows on the very tough Florida Circuit...at10 months of age!Pictured winning a major under Judge Ms. Margaret Reed. This boy's bone, substance and awesome attitude set him apart!